One of the best and most influential weapons from the early part of the 20th century was John Moses Browning’s Colt M1911. The gun designation comes from the year it was accepted as the U.S. Army’s sidearm since it was designed in response to a demand by the US government for a pistol firing the more potent round. The Colt M1911 was chambered for heavy and potent .45 cartridge in place of the less-effective .38 caliber revolvers. The standard military load of a 230-grain jacketed "ball" bullet has a relatively low muzzle velocity of around 850 ft/s, contributing so quickly that these fat, stubby bullets earned the terrific reputation of man-stoppers. Initially, the Colt M1911 .45-caliber pistol was designed as a combat pistol with larger clearances between parts, but today, the tolerances in many new 1911 handguns are much tighter than the older Government Issue Colts. What is an Extractor and What is it Used For? However, the prime consideration for any new-in-the-box 1911 in a self-defense role is reliability. As a part in a firearm, the cartridge extractor is usually made of one single piece of spring steel with only one function in mind, and that is to remove spent cases of fired cartridges after the ammunition has been fired. Most factory extractors need attention to achieve the optimum in reliability because they probably cause more malfunctions and jams than any other part, including the magazine. Located on the interior of the 1911 slide and designed to act as one long spring, the internal 1911 extractor is machined from bar stock and relies on leaf spring tension. Regardless of the material used, the internal design of the 1911 with the leaf spring setup is prone to loss of tension over time and usage. There are also two types designed for the Series 70 and Series 80 1911 style pistols. The Series 80 extractor boasts a retainer stud which holds the firing pin safety plunger. While the extractors made for Series 80 will work in all Series 70 guns of the same type, the opposite case is not possible. What Makes a Great 1911 Extractor? From manufacturer to manufacturer, you will find different designs and materials used. You should not be surprised that one of the most frequent reasons for malfunction in the semi-auto pistol is poor material of the extractor. While the quality 1911 auto extractors are machined from both carbon steel and stainless steel, gun authors do not recommend the extractors that are cast or made by MIM (Metal Injection Molding) technology. Extractors made of quality steel can subsequently be filed or sanded and bent to achieve the right tension and proper fit, but those made with wrong materials can only be altered with a quality aftermarket part. Another vital feature is proper tensioning because it is what provides reliable chambering, extraction, and ejection. Although the tension can be adjusted with your fingers, proper tension tuning should be made using tension gauges and the Weigand 1911 extractor tool that will allow you to bend the entire length of an extractor. Below, we have reviewed the five best extractors on the market for the 1911. Each review gives you the best and worst features for each product. You’ll also be able to discover which are best for certain uses. Hopefully, by the end of this review, you will find a great extractor to add to your 1911. Made From Rare Unobtanium, Only Available from EGW Inc. Established in Quakertown, Pennsylvania, Evolution Gun Works (EGW) is one of the largest suppliers of 1911 pistol parts. With nearly three decades of experience in the gun parts and accessories industry, they have correctly identified a few design flaws in the legendary Colt pistol and offered some specific improvements on extractors for the 1911. First, EGW machined the1911 AUTO HD extractor with the latest CNC equipment from the proprietary steel alloy perfectly suited to the heavy-duty extractor. The redesigned, ruggedly-built EGW is vacuum heat-treated to RC 49-51, yielding great spring properties and maintaining tension for reliable extraction and long service life of 70,000+ rounds. Secondly, this upgraded device under manufacturer code 10312 features somewhat changed geometry by reducing the space from the breech face to the extractor hook and adding an acute angle, so the hook bites better into the case rim. Unlike the regular back section that is quite thin, the back part of the EGW extractor is nearly three times as thick as the stock original for increased strength and tension-retaining properties. Although the EGW 1911 AUTO HD extractor is designed as drop-in part, it requires fitting beyond that which a novice can do. However, this is an innovative choice with unique materials that we have chosen as the best overall option for the 1911. Wilson Combat is one of the most renowned manufacturers of high-end components for any 1911 pistol. Wilson Combat's 1911 BulletProof extractor is machined from tough bulletproof steel bar stock and it is available to fit either Series 80 or series 70. The Wilson extractor with manufacturer part number 41570 uses exclusive bulletproof material dubbed S7, which is a shock-resistant air hardening steel with a tensile strength of 275,000 PSI. 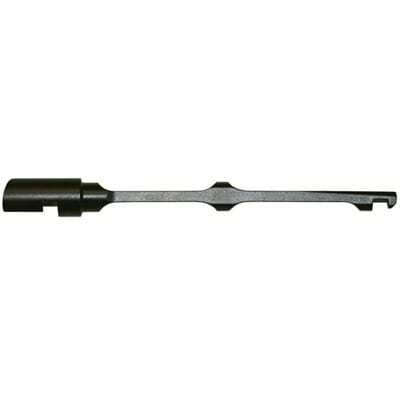 This shockproof “non-stainless" tool steel allows the extractor to work as a spring in order to maintain proper tension on the cartridge case throughout the life of a gun. Since the S7 steel is heat-treated to optimum toughness and is cryogenically treated it has exceptional impact properties along with excellent wear resistance. Since the extractor`s hook corners are radiused for extended life, it is sturdy enough to withstand the shock of feeding and extracting rounds and empty cases. All Wilson Combat Bullet Proof Extractors are designed as drop-in units, but many pistols may require minor tension adjustments and fitting to work as expected. A well-designed and adequately tuned Wilson Bullet Proof extractor will outlive standard factory parts many times over, making it a choice of professional gunsmiths. It is also a great value for the money. One of the most reliable extractors in the industry is AFTEC's Advanced Competition Extractor that now is sold under the Mfr. name Millenium Custom. Unlike the traditional extractors that are bent to achieve tension, the A.C.E. Extractor’s tension is performed by two coil springs that push on the side of the extractor. While the regular extractor design will straighten out over time and cause malfunctions, the Millenium extractor requires neither bending nor slide modifications, just a little filing on the firing pin plate for a good fit. A Millenium Custom II 1911 Advanced Competition Extractor, as its name says is particularly prevalent in race guns used by competitor shooters and for self-defense. While Millenium Custom is beefier than the stock extractors, it is made from high-quality alloy steel with long-lasting coil springs for increased service life and consistency. However, it's not a drop-in part, you need to fit the hook end of it. Some users noted that installing this extractor in 1911 with both springs resulted in far too much tension, so they recommend using only the rear spring for flawless functioning. Although the manufacturer advertises the A.C.E. Extractor as a solution for all who may not be able to get the extractor tuned correctly, it's a bit fiddly to install and you might have to make modifications to your firing pin. Brownell’s 1911 extractor is a quality replacement part for the factory extractors and is machined from properly heat-treated steel and is available in both blue (BL) or stainless steel (SS) versions, as well as for both 70 & 80 series pistols. By minimizing contact between the tip of the claw to the bevel of the ammunition case, the Brownell’s 1911 extractor offers improved geometry, which enables a good grip on the case and consistent feeding and extraction. This Brownell’s upgrade is slightly beefier than stock 1911 extractors, making it suitable for consistent operation in competitive and tactical use. The material used is hardened and heat-treated steel, which provides smooth functioning and flawless extraction. Like many similar designs, this 1911 extractor is not a drop-in piece and it will require a lot of fitting to work. 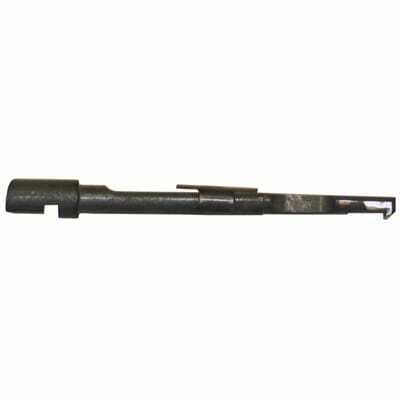 The part with designation 078-000-031WB is an extractor intended for the .45 ACP 70 Series autos with blue finish. Another version is made of stainless steel, but some customers have complained due to a particular copper color from the heat-treating process that stands out from the normal stainless steel color. Guaranteed for Life Against Breakage. Another caliber-specific extractor comes from a famous pistol-smith Ed Brown, whose products are quite well known in shooting circles. 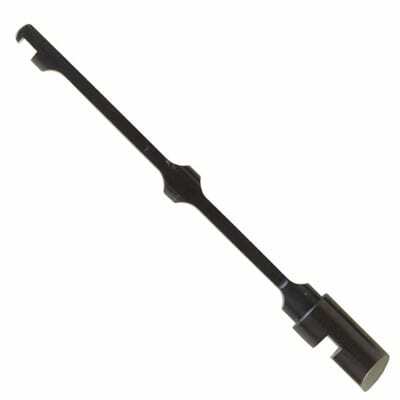 As is standard, the Ed Brown Match extractor is fully machined from heat-treated steel bar stock. Utilizing a 4340 alloy steel, the extractor features extra strength and can sustain an extended service life followed by a manufacturer lifetime warranty against breakage. 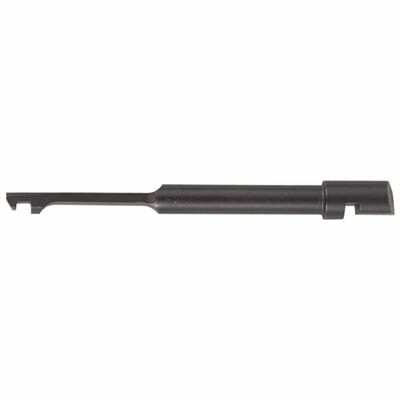 The extractor under manufacturer number 1301 is intended for use in 1911 Auto Series 70 pistols. As its name suggests, it sports extra-deep hook and radiused edges to allow positive extraction for competition pistols, just as Mr. Browning intended for hook strength. Combining optimal dimensions (2-11/16" long and .080" thick shank) with competition-style relief, the Ed Brown extractor takes away many of the feeding and extraction problems that are common for the poorly made extractors. This Match extractor seems to be a tad long, so it may protrude from the rear of the slide depending on the slide manufacturer. Otherwise, the Ed Brown extractor is known to be of high quality, tensions easily, smoothly engages the rim edge, and works flawlessly. The Ed Brown Match Extractor is an excellent replacement part for cheap 1911's with poor quality extractors. This is a product that will work fine with just minor tuning and is guaranteed against breakage for life. A poorly made and poorly fitted extractor is one of the most common factors of malfunction in the 1911 style handguns, most often causing jams and failure to feed (FTF) or failure to extract (FTE) problems. First, you should look for a higher quality extractor made from better materials and manufactured to tighter tolerances to ensure consistent and reliable extraction. Your item should be set up so that there's the minimal space between the inside of the extractor hook and the bolt face of the slide. A properly tuned extractor should have corners that are radiused for smooth feeding. Then the tip and the inner groove should be polished. You are not supposed to change the angle of the hook, but the only angle of the side area. The cut for the firing pin stop is held to a tighter spec to fit snugly in the groove. With the slide is removed from the frame, place the cartridge under the hook and it should be able to hold it. If this test is unsuccessful, put the extractor halfway into the channel in the slide and apply just enough pressure to bend the extractor slightly. Repeat until it holds the cartridge in place during the slide test. Usually, the back is a little long so you can blend it to your slide for a perfect fit. If you are still having trouble, check out the video below. When you install a 1911 extractor, you should know that most modern, properly shaped, and tuned products have a minimum service cycle of about 5,000 rounds. As mentioned above, the tension is crucial to reliability in the 1911 style pistol, therefore neither too much tension, nor too little tension is beneficial for the flawless functioning of the gun. You should periodically check the extractor tension using the slide test. If the extractor is not providing sufficient tension, replace it with one we have recommended in the above list.